Prostate cancer (PCa) is associated with the second highest number of cancer related deaths in men, second only to skin cancer. It is the most commonly diagnosed problem with the genitourinary tract and approximately one in six men will be diagnosed with PCa in his lifetime. According to the American Cancer Society, it is estimated that there will be 180,890 new cases of prostate cancer, and about 26,120 deaths from prostate cancer in 2016. A major debate in the use of ADT is whether intermittent or continuous therapy is the best for prostate cancer patients. In a meta-analysis published in late 2015, data from 15 clinical trials that compared intermittent and continuous ADT and found no significant difference in overall survival, cancer-specific survival, PFS, and quality of life was slightly improved with intermittent ADT. Other studies and analyses argue that the differences do not merit a change from the standard treatment, rendering the use of intermittent ADT investigational. The contradictory results of different studies of continuous to intermittent ADT, this debate leaves the best course of action uncertain for now. This educational program will equip urologists, medical oncologists, radiation oncologists, and other healthcare providers involved in the treatment of patients who might undergo or have undergone androgen deprivation therapy (ADT) with the up-to-date clinical knowledge and tools they need to best diagnose and treat their patients and adverse effects they may face. 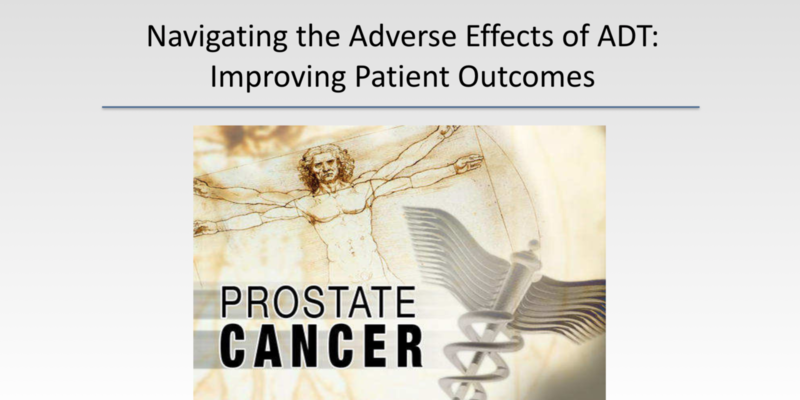 The intended audience for this activity is urologists, medical oncologists, radiation oncologists, and other healthcare providers involved in the treatment of patients who might undergo or have undergone androgen deprivation therapy (ADT). This activity has been co-provided by the Medical College of Wisconsin and Carden Jennings Publishing, Co., Ltd. The Medical College of Wisconsin is accredited with commendation by the Accreditation Council for Continuing Medical Education to provide continuing medical education for physicians. The Medical College of Wisconsin designates this activity for a maximum of 1.5 AMA PRA Category 1 Credit(s)™. Physicians should claim only the credit commensurate with the extent of their participation in the activity. This enduring material is approved for 1 year from the date of original release, May 25, 2017 to May 25, 2018. The educational content of this program has been peer reviewed by The Medical College of Wisconsin. The Medical College of Wisconsin and Carden Jennings Publishing report the following relationship(s): No relevant financial relationships to disclose. Signed disclosures are on file at The Medical College of Wisconsin. The audience is advised that this continuing education activity may contain references to unlabeled uses of FDA-approved products or to products not approved by the FDA for use in the United States. The faculty members have been made aware of their obligation to disclose such usage. The material presented at or in any Medical College of Wisconsin or Carden Jennings Publishing Company, Ltd. continuing education activity does not necessarily reflect the views and opinions of Medical College of Wisconsin or Carden Jennings Publishing. Neither Medical College of Wisconsin or Carden Jennings Publishing, nor the faculty endorse or recommend any techniques, commercial products, or manufacturers. The faculty/authors may discuss the use of materials and/or products that have not yet been approved by the U.S. Food and Drug Administration. All readers and continuing education participants should verify all information before treating patients or utilizing any product. This activity is supported by an educational grant from Ferring Pharmaceuticals, Inc.
NextHow Should We Monitor Patients During Surveillance? CARDEN JENNINGS PUBLISHING CO., LTD. Copyright © 2019 Carden Jennings Publishing Co., Ltd. All Rights Reserved.